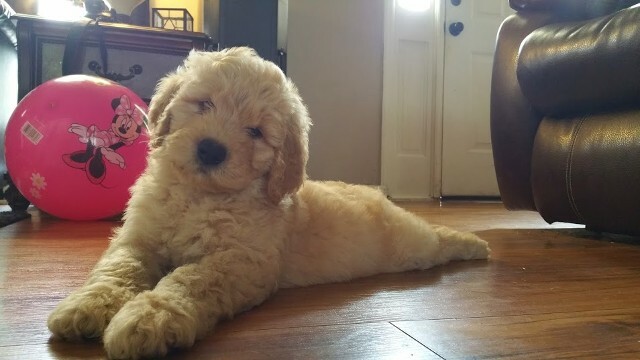 Anna is a small f1 Goldendoodle. She has a litter that will be ready in April. 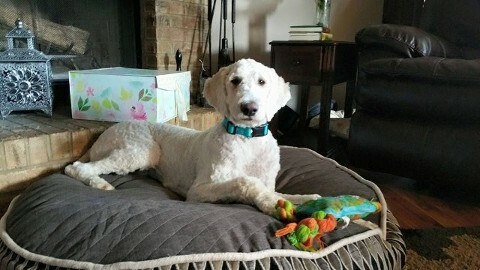 Goldendoodles around 45 to 50lbs. There will be reds and red and white tuxedos . We have some spots available for her spring litter 2019 Litter. Anna is a sweet loving Mom! She has pictures of past puppies on our Facebook page as well as testimonies. 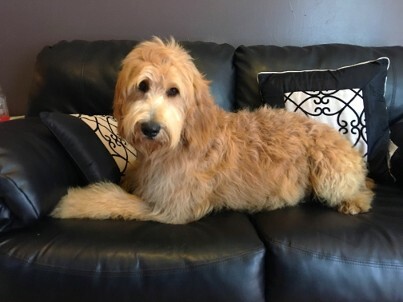 Nala is an F1 Goldendoodle from English Cream Lines. She is clear on all her health panels. Puppies are due February 7th and will go home In Early April 2019. We have some spots available. These will be small f1bs around 40lbs on average . They are 99.9 percent non shedding. The are the most allergy friendly . Nala is a sweet loving Momma! She has pictures and testimonies on our Facebook page of her past puppies. 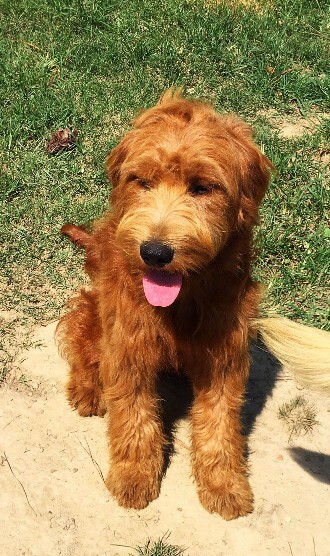 Honey is an f1 English Teddy Bear Goldendoodle. She is very calm and loving. 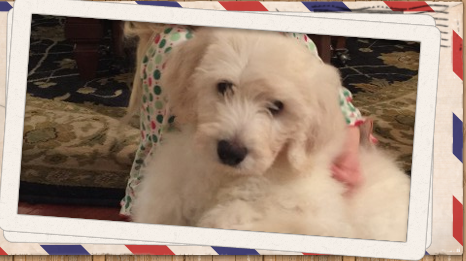 Honey and Kristof have puppies available Now! Check out the available puppy page. She is clear on all her health panels! Owner writes:" He is just so wonderful! We are VERY blessed. Everyone loves him and wants to sit for us. He goes everywhere with me. 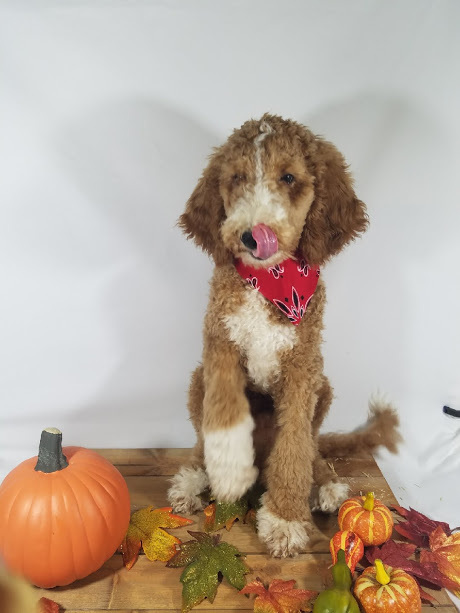 "Jaggar in My Dreams" is our AKC Red and White Tuxedo Moyan Poodle. He weighs 45lbs and he is all about Snuggles and hugs! 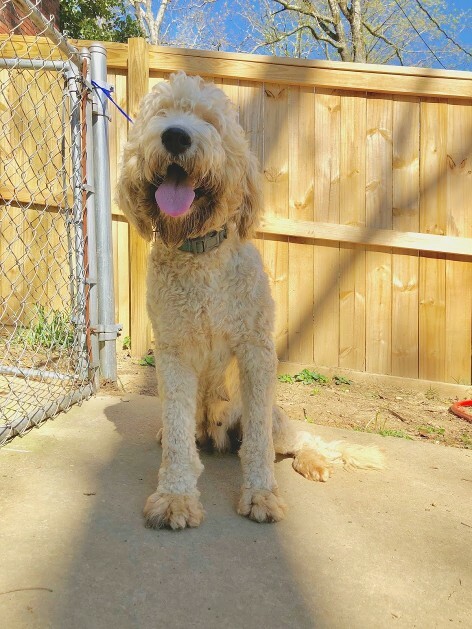 We have some planned Mini Goldendoodle litters for Spring 2019 from this sweet fellow! His parents have tested clear on Gentetic Panels! He is an outstanding gentle boy. He loves to retrieve to hand. He is dearly loved and has sired Champion dogs! He just loves to cuddle!! He loves all of our other dogs! Kristoff weighs 48lbs. 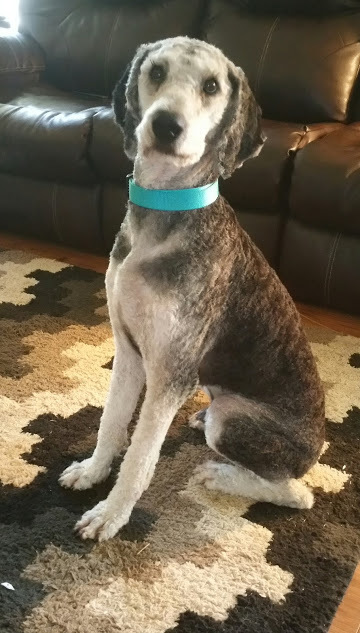 He is a very smart calm boy! He loves people and all other animals.He just wants to crawl up in your lap to get some loving or play fetch!